Whether you are looking to establish a new 501(c)3 or need help with an existing organization, we have the solution. 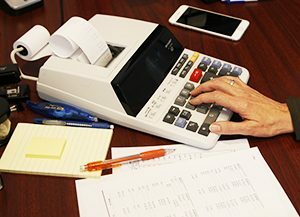 Parks & Berry CPAs, is fully knowledgeable of the accounting rules and tax laws that apply to non-profit business entities. We offer comprehensive bookkeeping solutions, preparation and financial statement consulting to help your organization comply with federal and state mandates. We can help you prepare budgets, create fiscal policies and assist you in developing successful operating plans for your not-for-profit organization. Our team of highly trained professionals at Parks & Berry CPAs, are always seeking to provide the best practical financial advice possible when counseling not-for-profit clients on their financial affairs. We can help you setup and maintain your non-profit organization's tax-exempt status by handling all the IRS reporting for you. Let us help you setup and/or maintain your non-profit tax-exempt status by requesting a free consultation below.